In the aftermath of The Great Gum War, Finn, Jake, and the entire land of Ooo begin to pick up the pieces with some new and unexpected friends. The Official Continuation of the Hit Cartoon Network Series! 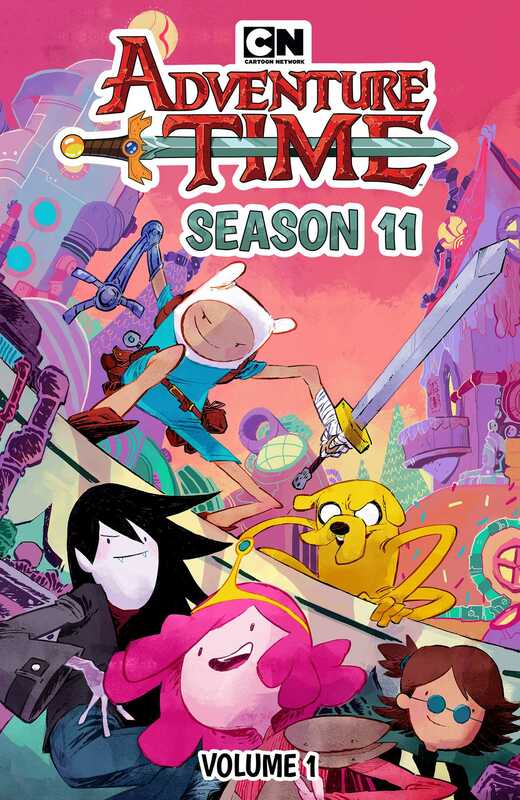 Cartoon Network’s Emmy Award-winning series continues in Adventure Time Season 11—the only place to get new, official Adventure Time stories! Return to the Land of Ooo after The Great Gum War and join Finn and Jake on all-new adventures. Together, along with Princess Bubblegum, Marceline, BMO, and all your favorite friends, they’ll rediscover what it truly means to be the protectors of the realm. Eisner Award winner Sonny Liew (The Art of Charlie Hock Chye) and writer Ted Anderson (Adventure Time: Beginning of the End) team up with artist Marina Julia (Lumberjanes: Faire and Square) to share the next chapter in the incredible world of Adventure Time.